Huawei provides services and high-quality products all over the world. One of most important directions of company’s business activity is development of solutions and products for solar energy, including manufacturing of high-quality solar invertors and intellectual monitoring systems to control solar power-stations functioning. Grid invertors made by Huawei are used for commutation of power-generating photoelectric stations to the general grid. Therefore they are often used for connection of solar power-stations intended for electric power generation with its further sell on a green tariff. Efficiency: invertors use three-level transistor typology (IGBT), that allows to get maximal efficiency ratio up to 97-98,7%. In addition, engineering design of an invertor specifies up to 3 MPPT channels monitoring the point of maximal electricity generation. Reliability: invertor engineering design includes protection from contact-to-ground fault and from possible voltage overload. Invertors also have their own original ventilation system using natural air circulation, that allows to abandon active fan installation. Such approach on the one hand allows to decrease the self-consumption of generated power (that can be considered as the increase of losses of generated electric power and increase of the productivity of solar power-station); from other hand it makes an invertor much more reliable. It is possible to consider the possibility of outdoor invertor installation as another advantage of such ventilation design. Intellectual monitoring: Huawei invertors not only perform the functions of current transformation but also accomplish important role as control and management element, monitoring faults in chains of the power system. This allows to minimize fault localization time up to 80%. 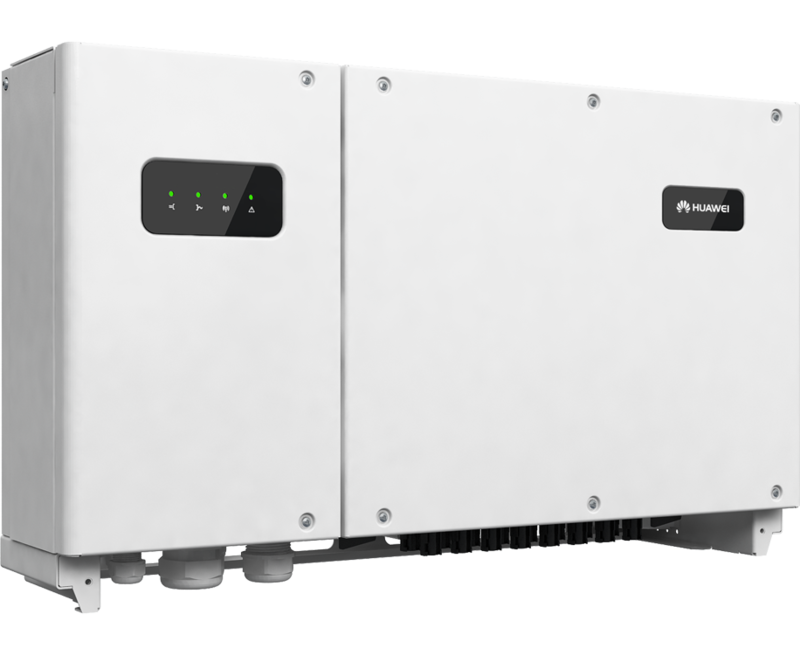 Huawei grid invertors proved in field conditions, that can be effectively used both in powerful (up to several megawatts) industrial solar power-stations and in relatively small household (private residence) PV systems. They showed excellent results in photo-electric systems working in parallel with the centralized power supply network. To achieve the optimal functioning of both network invertor and all systems of solar power-station, choice of invertor must be done during a PV system’s planning stage. Avenston has experience of long and fruitfully cooperation with Huawei. We used their equipment in some projects, so our employees received necessary education and training and also accumulated large practical maintenance experience. Ordering our “turn-key” services, you can include the requirement to use equipment from this specific producer into project technical specifications and you will get the most detailed technical consultations about its usage. In addition you can simply purchase this equipment for your projects with us. We will offer a fair price to you, and also we will manage all issues related to logistics and customs clearance. Thus you keep the direct manufacturer guarantee, substantially reducing the cost of commissioning and adjustment works due to work with domestic specialists, and also receive additional guarantee and services.